Sunnie is passionate about helping health innovators create and grow new products and services that transform healthcare. She has deep expertise in healthcare marketing, product development, and service creation in several industry verticals including provider organizations, pharmaceutical and medical device manufacturers, health information technology suppliers, digital health startups, medical supply, and data analytics firms. Sunnie has worked with many world-class healthcare organizations including Shire, Sanofi, Eli Lilly, Cincinnati Children’s Hospital and Medical Center, St. Elizabeth Healthcare, AssureX Health, Inmar (CollectiveBias), and many more. She has also worked with many startup companies including HelloHealth, DocHalo, and BlueSpark Technologies. Visit the Our Work page to see specific examples how we help our clients. The diverse conditions and disease states Sunnie has been involved in include precision medicine/ genomics, opioid addiction, pain management, behavioral health, women’s health, diabetes, cardiovascular disease, immunological disorders, and gastrointestinal disorders. 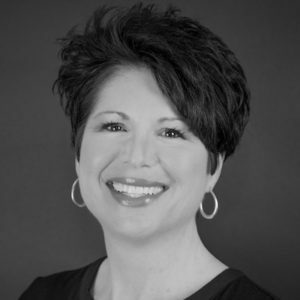 She has also worked with many different types of technologies and software solutions including Electronic Health Records, remote monitoring, wearables, content marketing, content management, telemedicine, online scheduling systems, physician to physician communication platforms, physician to patient communication platforms, patient engagement systems, data aggregation platforms, and advanced analytics/ artificial intelligence solutions. She has been recognized as a “Disruptive Women to Watch in Healthcare”, “Healthcare Leaders” by Venue and Lead Magazine, “10 Local Women to Watch” by the Cincinnati Enquirer, and invited to join 40 leading healthcare organizations at the White House Summit on Precision Medicine with her work highlighted on the President’s Precision Medicine Initiative Fact Sheet. Sunnie’s experience and passion fueled the creation of Viable Synergy, LLC.